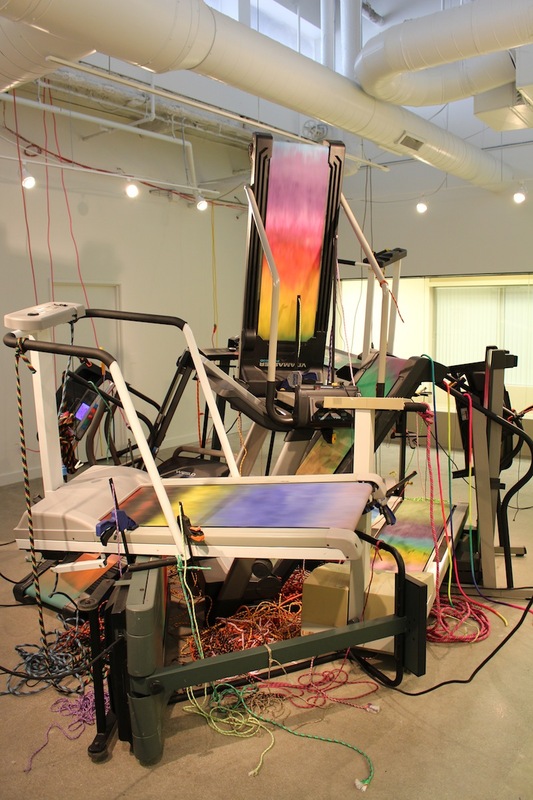 Brent Birnbaum's sculpture of eleven treadmills is the inaugural exhibition in the Art-in-Buildings Gallery. 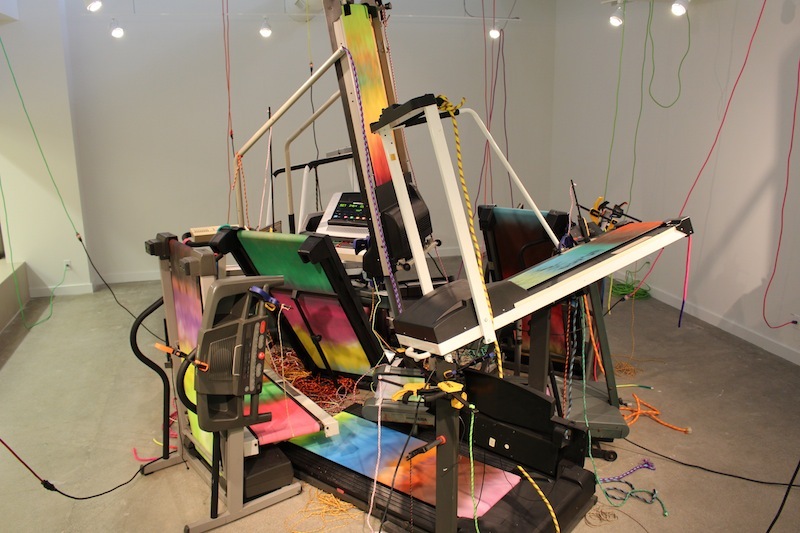 Birnbaum has created a mountain of outdated but running treadmills secured and accentuated with climbing rope, clamps, and electrical cords. 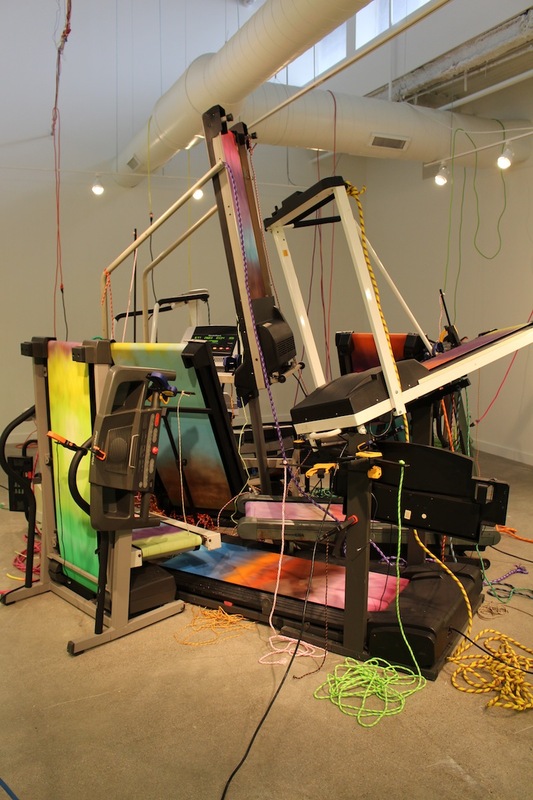 He activates the gallery space and the old machines by turning on the treads, revealing vibrantly colored moving paintings. 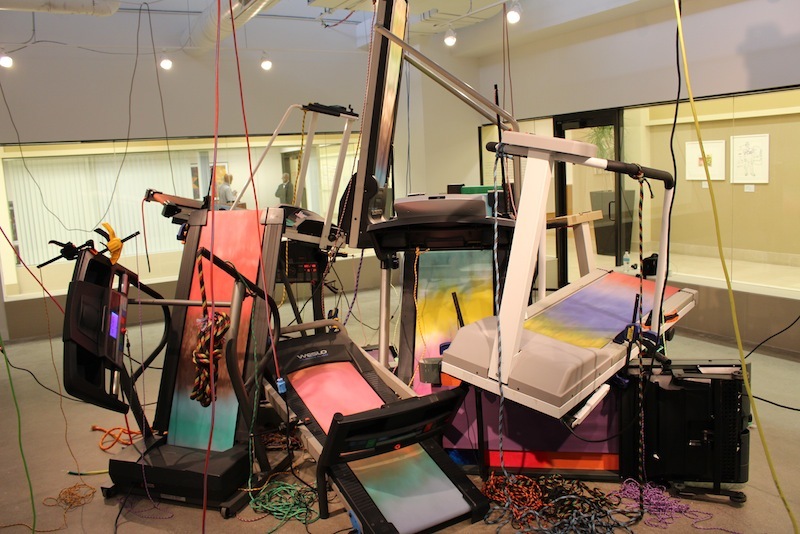 A collector by nature, Birnbaum acquired the treadmills from Craigslist, directly from the people who wished to discard them. The dated treadmills are relics of a capitalist dream in which purchasing a product holds the promise to transform's one life for the better (these Craiglist sellers intended to get fit and healthy) only to fall into disuse and decay. Birnbaum rescues these forgotten objects and gives them new life and new meaning as art. Brent Birnbaum: Untitled is curated by Jennie Lamensdorf and sponsored by the Time Equities Inc. (TEI) Art-in-Buildings. TEI is committed to enriching the experience of our properties through the Art-in-Buildings Program, an innovative approach that brings contemporary art by emerging and mid-career artists to non-traditional exhibition spaces in the interest of promoting artists, expanding the audience for art, and creating a more interesting environment for our building occupants, residents, and their guests. 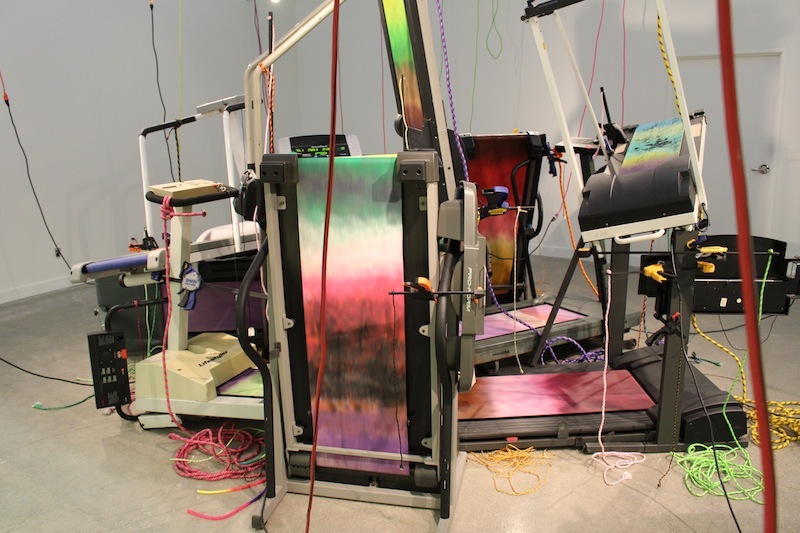 Read our interview with Brent Birnbaum and Elizabeth Denny on the Art-in-Buildings blog!